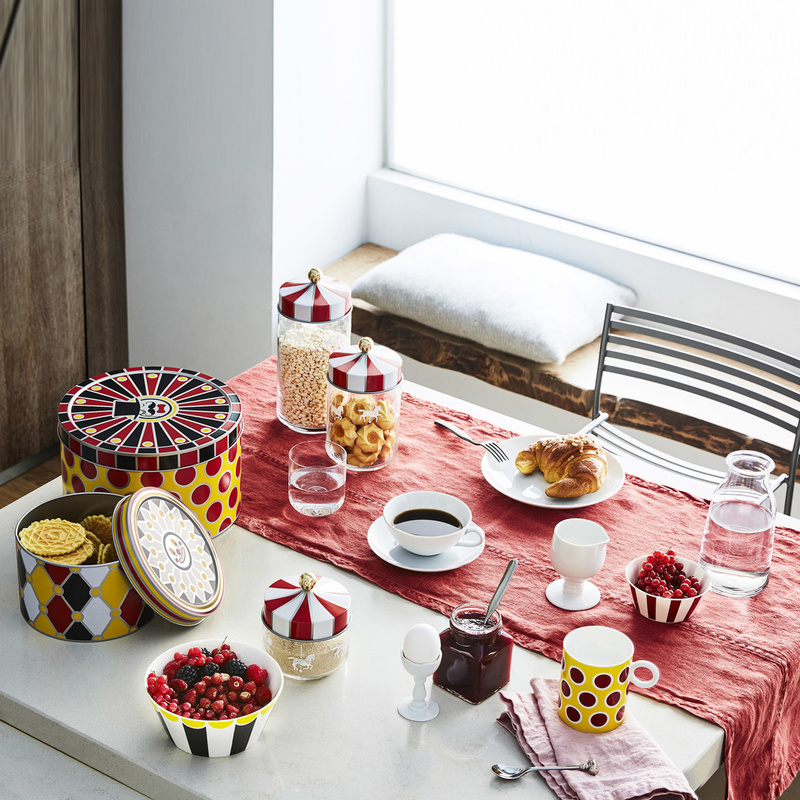 Be tempted by the charm of the Circus jar: a design container that brings joy! Unique and original, the Circus jar is not just a container, but rather a valuable accessory that lends itself to thousand different uses. Made of high quality serigraphed glass, it stands out for its unconventional style that makes it instantly recognizable. 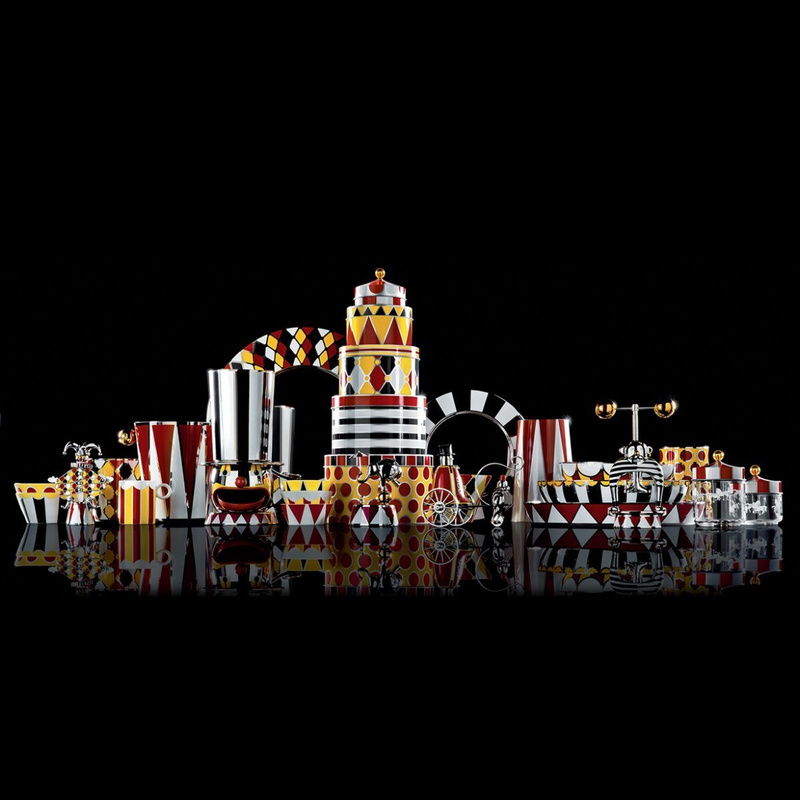 The Circus jar reproduces the image of a carousel that recalls happy childhood memories, arousing astonishment and admiration. 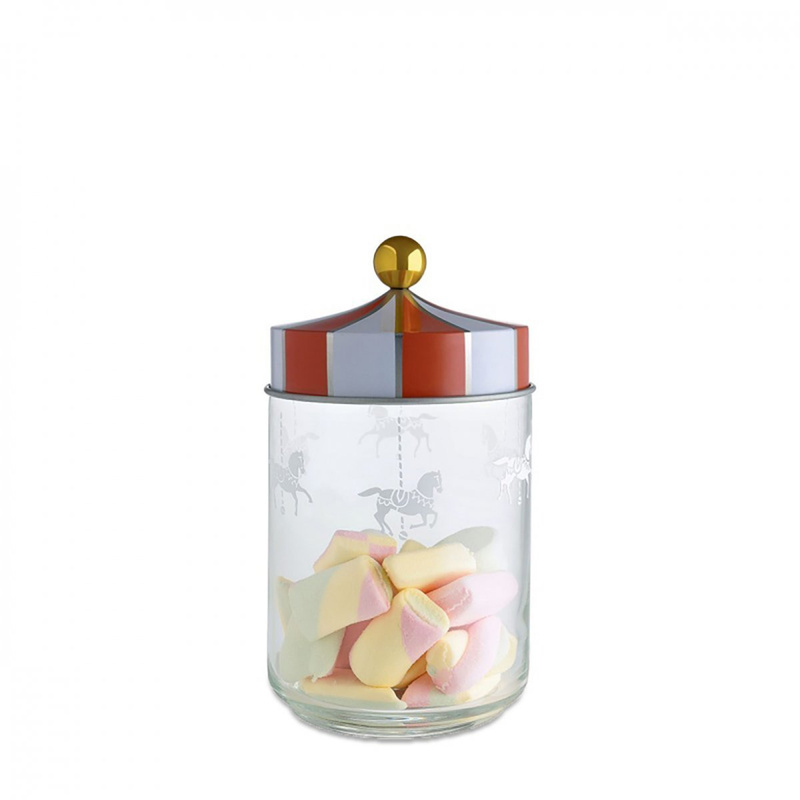 It is the right choice if you have to store cookies or candies, preserving the properties and freshness. Thanks to its lid made of tinplate, the closure is always perfect, guaranteeing maximum hygiene and integrity of the content. 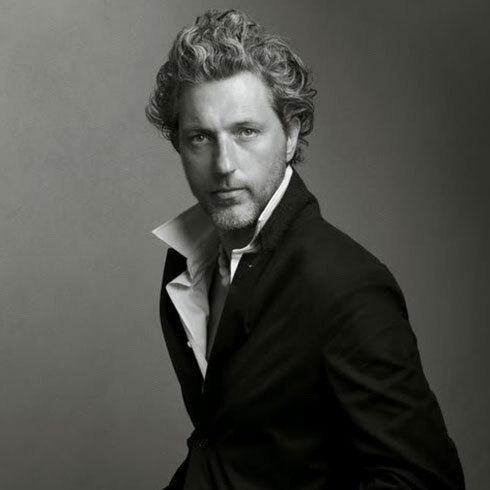 Designed by Marcel Wanders, internationally famous designer, it is part of a collection that deserves visibility. In addition to the 19 cm high version, you can also buy the other smaller or larger jars belonging to the same collection, to be placed on a shelf in plain view or to be used as original gift idea for special celebrations, such as Christmas. 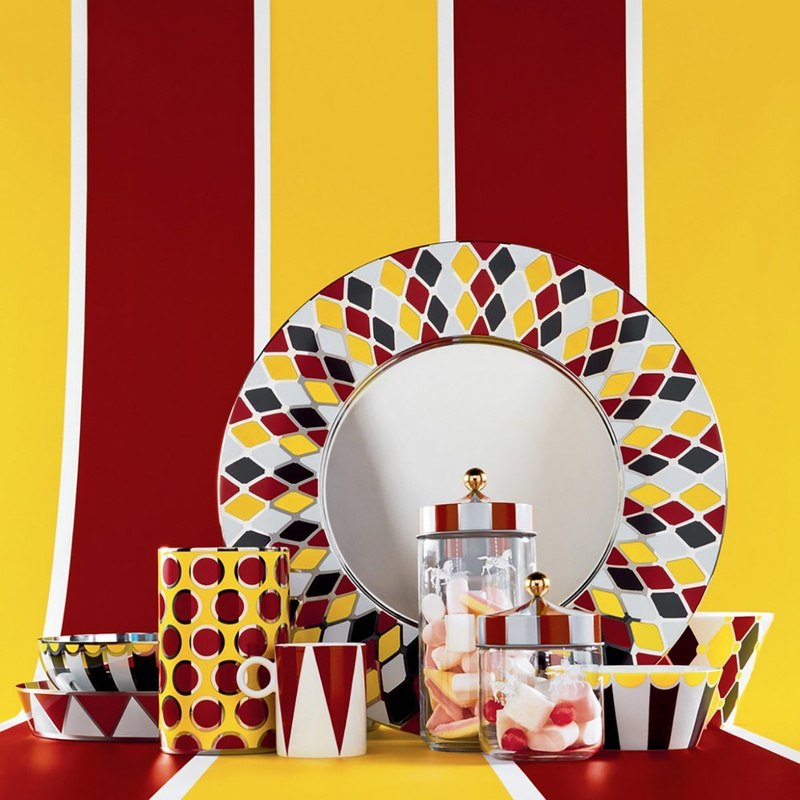 The eccentric and original shape of the lid recalls the top of a circus tent, with alternating red and white stripes. The grip is made easier by the round knob located on the upper part of the jar, in a nice golden colour. 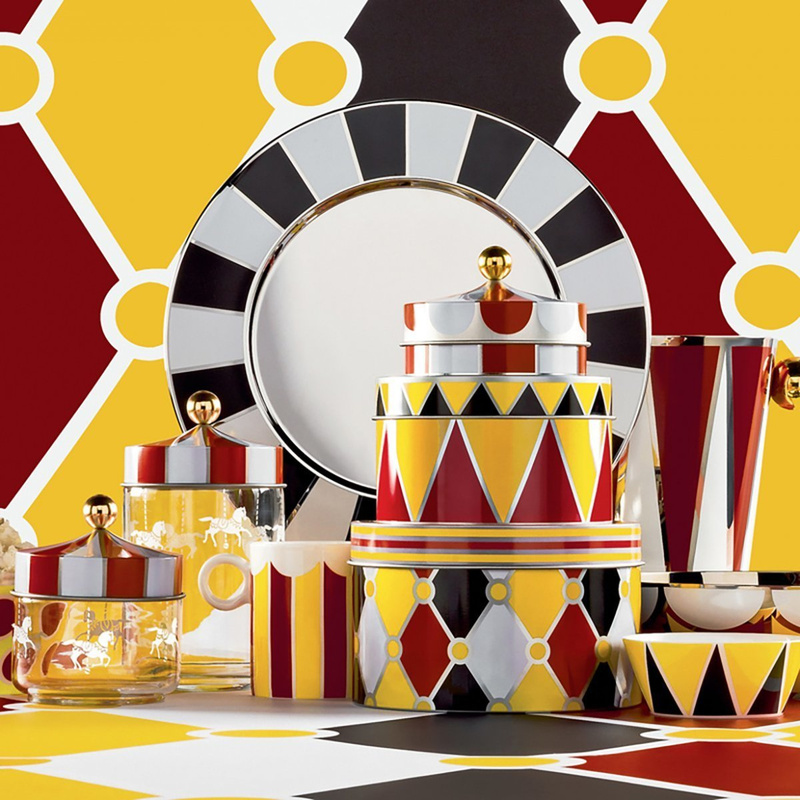 Produced by Alessi, a leader company in the industry that has been producing objects of design for homes for about a century, the Circus jar combines perfect craftsmanship and modern style that inspired Wanders. An accessory that combines high quality standard and refined details, especially designed to provide a valuable container at an affordable price for everyone. Visually striking, it stands out for its unusual shape that manages to impress but especially to excite: an astonishing creation that can make the difference.